What Carving Tools I Use? 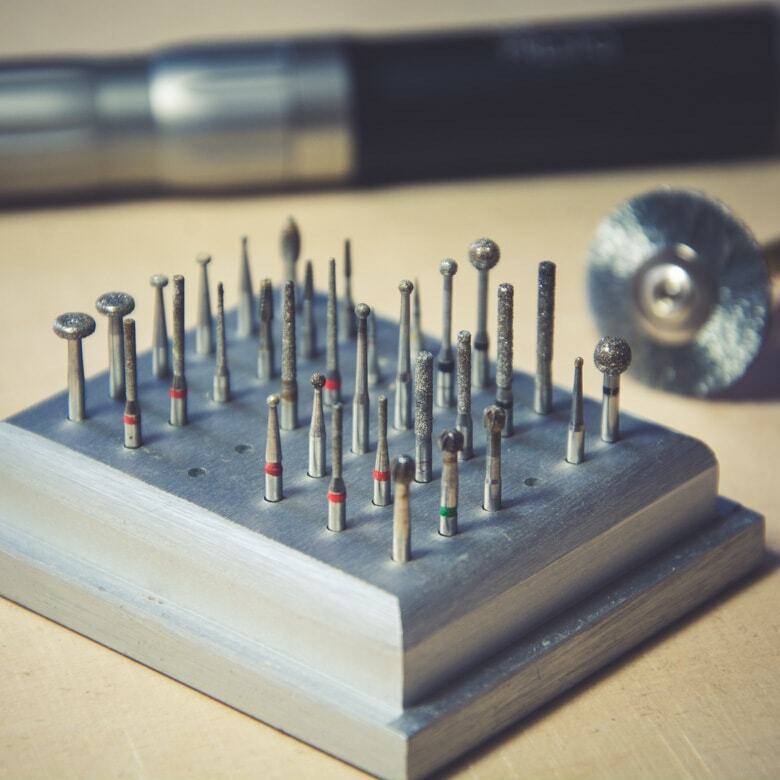 If you have ever wondered what main carving tools I use in making my handcrafted lamps, in this post I will present two of the most important ones: high-speed air turbine NSK Presto II and Dremel 4000 Rotary Tool. Till 2013 all of my lamps I’ve been creating using Dremel rotary tools. 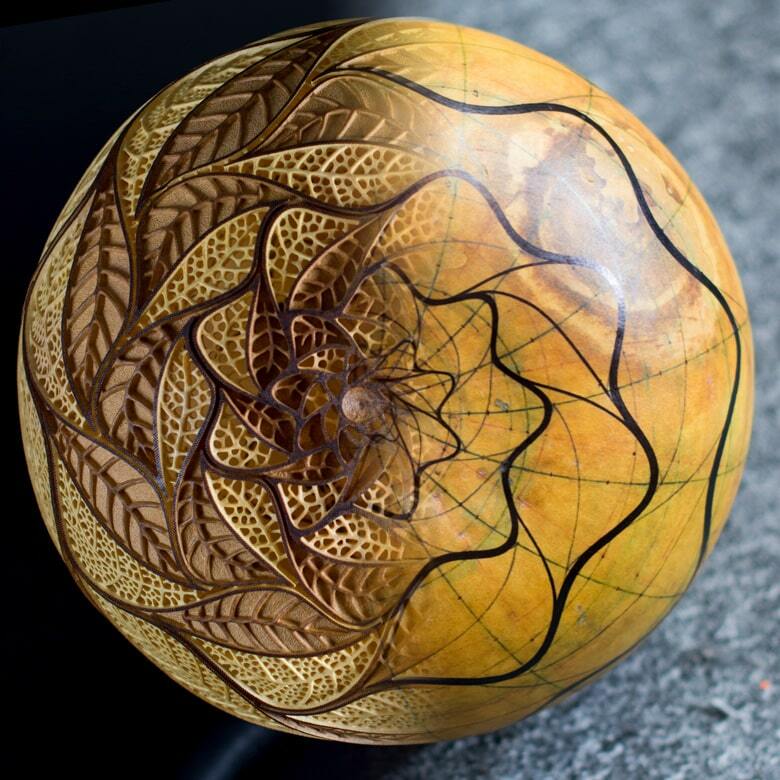 However, the level of intricacy and difficulty of my designs were constantly growing and the time has come – I needed something much more precise and comfortable for the hours of wood carving. The first choice of the highspeed air turbines was Shofu Lab Air-Z. That is a great tool but…maybe not for me. It was super comfortable in use but unfortunately while working on my Table lamp Butterfly I broke two cartridges. That is why I had to find something tougher. 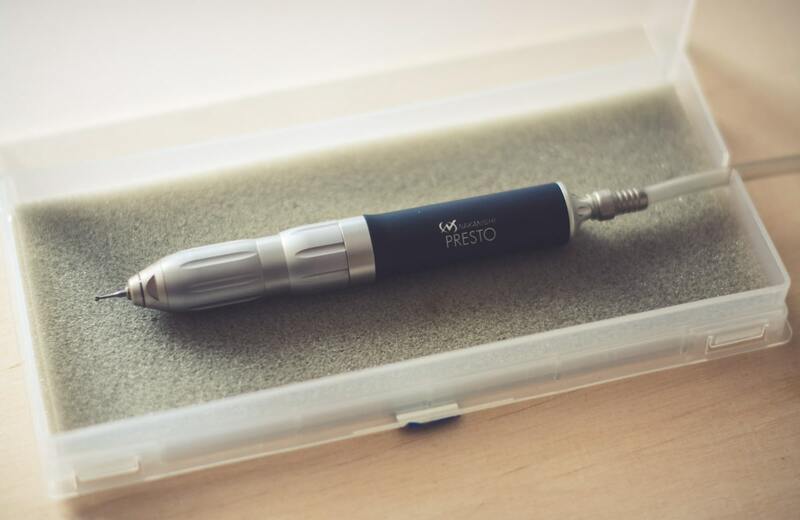 The second choice was NSK Presto II which I bought in the USA from Utah Handpiece Repair. That was the best decision, both as for the tool and the supplier! In the past 5 years, I replaced only one cartridge. In fact, it only needed to be repaired and it could work another few years. The NSK Presto II rotates at the speed over 300,000 rpm while most rotary tools like Dremel tools spin at 5.000-35.000rpm. That is a huge difference which makes this tool easy to work within such materials as wood, glass or metal. I use this tool for contour engraving, marking the place of every hole and for 95% of the carving work. I must say, I love this tool and can’t imagine carving with anything else. Presto uses standard high-speed dental burs – 1/16″ (Ø 1,6mm). When I am at the dentist, I am always wondering “what bur is she using right now?”. You can read more in the post WHAT DENTAL BURS I USE. 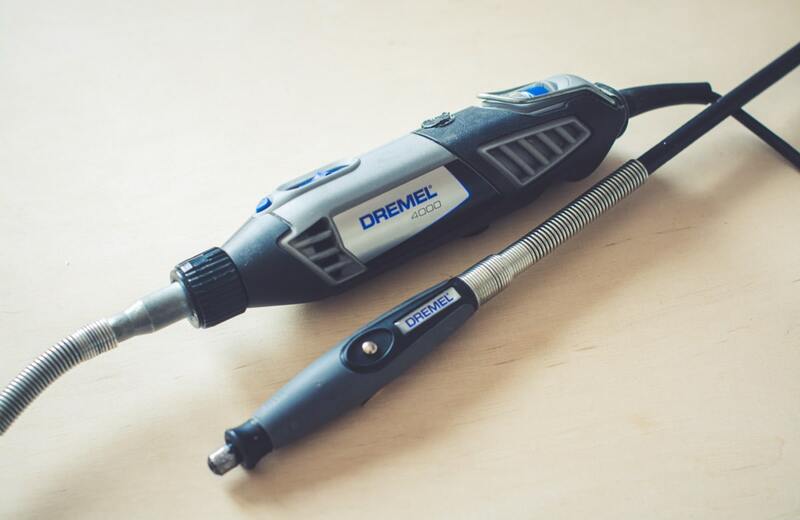 Dremel is for sure the tool which doesn’t have to be introduced to any gourd crafter and gourd lamps maker. Everyone knows it! As I mentioned, till 2013 all of my lamps I’ve been creating using only Dremel rotary tools (Dremel 4000 and 300). The flexible shaft is a must have. I use this tool for all drilling work. Firstly because the drills have thicker shafts and secondly because for drilling there is much more power needed. I also often use Dremel tool in the early stages of carving works when I need to remove much more wood. I use it also for several other works while creating the base like wood carving, cutting metal etc. I have also Dremel Fortiflex. However, I haven’t found it more useful than Dremel 4000 and it is definitely less comfortable for carving work. I don’t have any experience with tools such as Mastercarver Carving Tools or Turbo Carver so I can’t make any comparison. 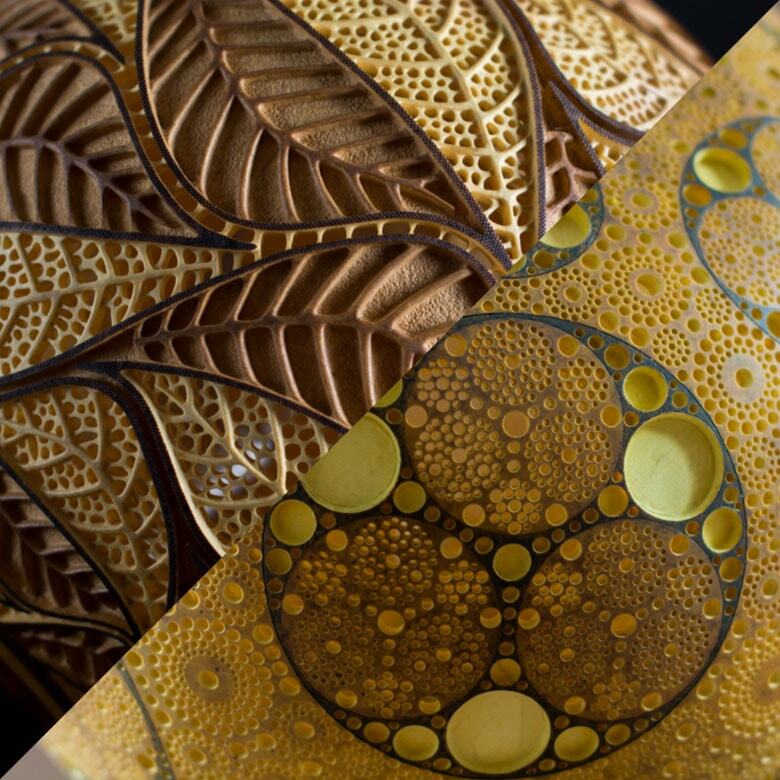 If you have any questions about the Shofu or NSK Presto or have experience with other tools for gourd carving, do not hesitate to comment. Which Dental Burs I Use? 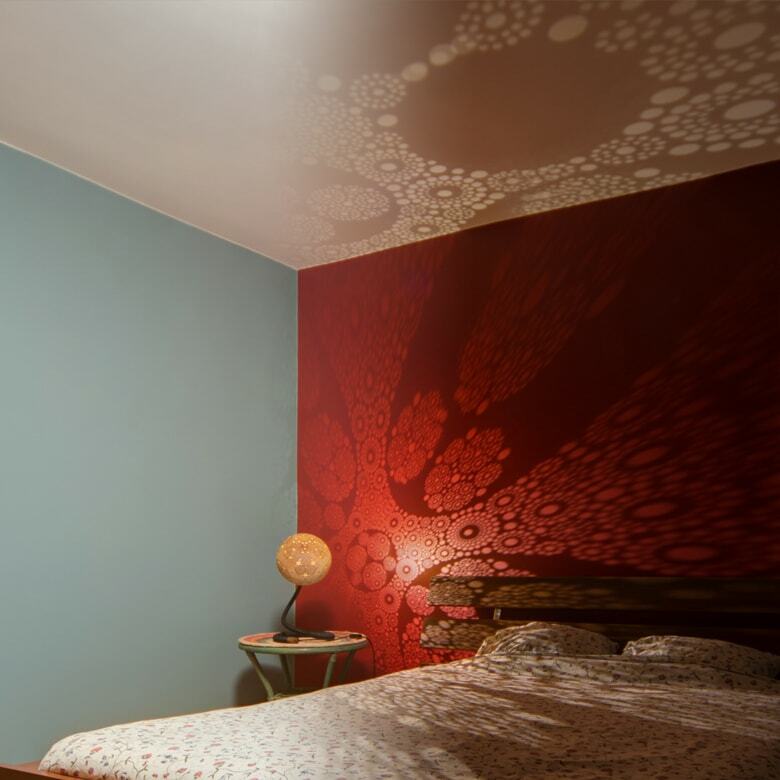 How the lighting changes the interior?